The Washington Hall was built in 1908, and designed by Victor W. Voorhees. Commissioned by the Danish Brotherhood of Seattle, it was the architect’s first large project in a career that would eventually span 25 years and over a hundred buildings in the city. The Hall was created to serve as a lodge for the Brotherhood, as well as a dance hall and performance space. In addition, the back of the Hall was a lodging house intended for new immigrants to the city. The Mission style building boasted comforts of a bygone era: the plans include a billiards room, smoking rooms, a parlor, library, and a ladies dressing rooms. It also uses an interesting architectural feature to illuminate called a light well, which was an open shaft flanked by windows in the center of the lodging area. For more than a century, the Washington Hall hosted a variety of people and events. The Danish Brotherhood sponsored plays, dances, and lectures for the community. A particularly compelling speaker was a member of the Danish Resistance during WWII whom shared his experiences in 1946. Multiple fraternal orders, ladies societies, ethnic groups and religious organizations held functions at the Washington Hall from its earliest days. Italians, African American veterans, Serbians, and Druids are just a few examples of the diverse crowds that enjoyed the Hall. Musical greats like Ella Fitzgerald, Fats Domino, and Duke Ellington also performed on the Washington Hall’s stage. The Washington Hall was sold in the 1970’s and was leased to various organizations. Most notably the religious cult Children of God occupied the building for a couple years, using it as their base in Seattle. 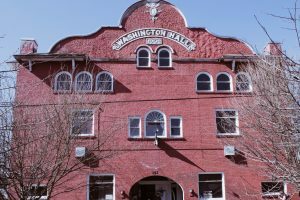 Since 2008, the Washington Hall was taken over by Historic Seattle, extensively renovated, and now is on the National Register of Historic Places. Exciting news! It sounds like one of my really good friends, who happens to be my favorite diving buddy, and I are going to go on an Australia SCUBA trip early next fall! We are referred to by our favorite divemaster as Pinky and the Brain because I wore pink tanks during our first weekend of open water diving, and she actually read the book and knows what is going on (and thus keeps me alive). Anyways, I will be relying on her brain power, because we will be diving a wreck for the first time, and who knows what kind of trouble I will get in while swimming in and around a shipwreck 60′ below the surface. This niche subfield of archaeology (nautical or maritime archaeology) has captivated me since I first started taking archaeology courses, and though I don’t plan on continuing on in archaeology, I really hope to take a field school at some point. Recently maritime archaeologists made headlines when they made claims to have found Christopher Columbus’ flagship the Santa Maria. They were able to use a combination of unique ship identifiers and journal entries from Columbus himself to narrow down the location. Like what?!? So cool. I have a feeling maritime archaeologists are just getting warmed up, and have a few more amazing finds coming soon to a journal article near you. Anyways, though picking through garbage doesn’t sound like a whole lot of fun, there are some really cool things that we can learn about our modern society through the study of our trash. Looking at disparities in food, clothing, chemicals, and other material goods really gets at the heart of environmental and social justice issues going on right around us. Garbology is definitely not without challenges though. I was particularly struggling with how we choose to frame our data in relation to demographics. Defining “poor” or “black” neighborhoods or whatever other box you want to draw around the unit of measure is REALLY challenging while being PC. That being said, comparing communities is really where garbology excels. I am definitely going to keep up with trends in this really cool field, you should too. As I finish up the annotated bibliography for the final project, I find that I am still frustrated with the problems I face defining historical archaeology within Island Southeast Asia. For the purposes of my paper, I chose to define historical archaeology as text-aided archaeology, yet this doesn’t really capture the problems inherent in using Deetz’ definition of an archaeology that studies European influences and the spread of capitalism post-1500 for this region of the world. The major problem with applying that definition to Indonesia is that the area experienced contact with other colonial powers such as India and China many centuries prior to European contact, and the region was a central player in pan-regional capitalist trade networks. I’m not sure that I have truly solved this conundrum in how I think about historical archaeology in this region, but others have suggested the use of the more specific term Colonial archaeology to define the archaeology of post-European contact in the region. This solves the issue of temporal discontinuities, but it does still impose several assumptions, namely that only European colonial powers have the ability to impact/affect/destroy indigenous systems. 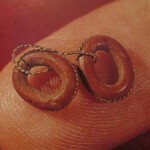 How might these present in the archaeology? What is the scope of the existing historical and historical archaeological research in this area? Are we aware of dominant narratives in the maps and documents that we use to explain the archaeological record? How can we include more nuanced and holistic interpretations? I explored these questions through several topics of interest, which included religion, material culture, gender and identity, agriculture, general background information, and territories and political boundaries. Having accomplished this bibliography, I realize just how diverse the topics of study in this region are, despite the fact that the depth of each topic is generally poor. There is a great deal of potential research out there, for those of us that are interested! 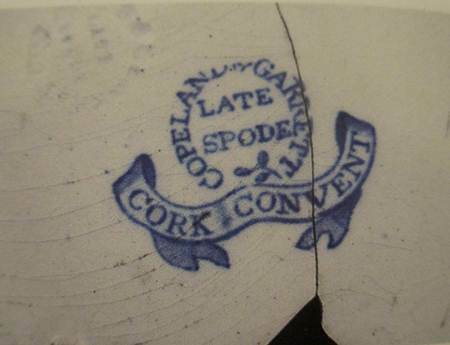 The Presence of Negotiation in Colonial Taiwan- Clue from a bowl and foodway? We usually take colonialism as more than a unidirectional power relationship in archaeology now, since so many cases show us about resistance, negotiation and creolization. In Japanese Colonial Period (JCP) in Taiwan, the Japanese Colonial Government applied multiple approaches which included military power, political system, ideology and economic system to maintain their ruing. When I traced my own family history, I found that there are so many little habits are actually the creolized product of Taiwanese culture and Japanese culture. There was once a tatami (Japanese style bedroom) in our family house. My grand grand father built that room when he was recruited by the Japanese Colonial Government as a local representative. My families began to attend Japanese school in the same time, I think this is why my grandpa alway spoke Japanese to me when I was young. And he always revealed a close emotion to Japanese and nostalgia to JCP. Oh right, I believe the raw clam marinated by soy sauce is also the heritage of hybrid culture of Taiwan and Japan, it is delicious! When I participated in several CRM project in Taipei area, the ceramics imported from Japan was always the largest remain in in JCP site. Amount these ceramics, there was a specific crane-motif bowl. Honestly it looked just not like Japanese ware, whether color, style or manufacturing technique. We could not figure it out until we luckily found the location and remains of Beitou kiln site in northern Taipei. 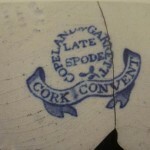 We final confirm the sourcing of this specific ware. Recently, combining with statistical data, some historical records and some JCP governmental policies, I found this locally made crane-motif bowl might reflect the negotiation between colonizer and colonized and also indicate a creolization of two culture. This Japanese style motif and Han style body shape bowl was made by Beitou kiln company that its boss had great relation with the Japanese Colonial Government. When this kiln company established, the Japanese Colonial Government published an assimilation policy in the same time in 1920. According to the price setting of this bowl, we can strongly believe that this product was targeted to Han commoners. Not only encourage Han people to speak Japanese, but also try to change the foodway gradually. Anyway, the data I have now is quite insufficient for me to do further research. 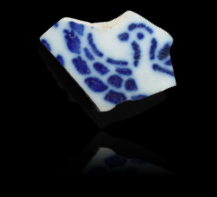 I just hope that I can find more related documents or find a Han settlement with complete deposit with crane-motif bowl, then I might tell you more story about it! I started this project based on an unexpected, and extremely frank outburst of a family friend during an Easter dinner. While I at my steak, carefully holding my meat to the plate with my fork held in my left hand, and slicing it apart with a knife in my right, this good friend’s Austrian grandmother barks, “Vhere did you learn to eat like zis? !” As an 18 year old kid who knew little to nothing about etiquette except those times I had my elbows forcibly pushed off the table, I was completely taken aback. So when the opportunity came to choose an item to study, this interaction from years ago came flooding back and the choice was obvious: The Fork. The quote which is the title of this piece, is from Joseph Brasbridge and was spoken during a dinner with a British aristocrat, highlights one of the key separations between social classes that the history of the fork highlights. Far from being a “humble” eating utensil the fork was a clearly defined status item for the majority of its European existence, usually being crafted of gold or silver, and its use limited to largely the wealthy. The history of the fork before 1608 is a story of wealth and exclusivity and religious and social ridicule, and the history of the fork until around 1800 is also a story of wealth and exclusivity and religious and social ridicule . In 1608 when Thomas Coryate introduced the fork to the British in one of his travelogues, it began the forks long journey to the American colonies. The fork is found in American Colonial probate records nearly 80 years later after it’s introduction to England, and it isn’t common in these records until 1770 and then mostly among the rich, while in England in 1750, most middle class homes had and used forks. There has to be a reason for this huge discrepancy in adoption. And the reason? There are a few. 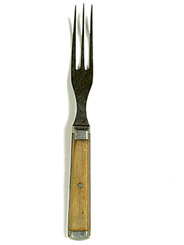 The Puritans who were a large portion of the colonizing population weren’t fans of the fork. They felt was a sin to not use the forks that God gave you, your fingers. Not only that, many British of the 17th century thought that using a fork was a sign of effeminacy. There’s also a series of laws know as the Navigation Acts, that severely limited what the colonies could produce and trade, and forced any goods going into the American Colonies to go through England first ensuring taxation, tariffs, and price gouging. Up until the mid-18th century, the colonists didn’t want or need forks and they were outrageously expensive. As stated in my presentation before, creating a historical narrative is very difficult. 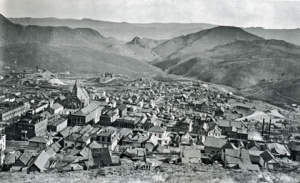 Not only is there a needed understanding of the local history of the chosen area (in this case Virginia City in the 1800’s) but also needed is a vast understanding of the social dynamics and various roles a person could find themselves in during their lives. Thus creating a believable character that can respond and understand these dynamic is the hardest part and as Jacob pointed out, my character in the drafts is very snarky. What would she think of children? Of Marriage? Of other races besides her own? These are questions I sought to answer. Sarah Smith is a plain name for what I hope is a very complicated woman. I tried my hands at writing mini-letter entries that I wanted to provide a voice for Sarah, and indeed as people have noted, she is snarky about her position in life. As these letter snippets are fictional it also brings to light the parallel that the letters that actually exist in the historical narrative can somewhat “fictional” as well, enticing others to join and to leave out unsavory parts of their lives. What I’ve discovered over the course of the research is just how complex these characters could become over their journey through the West. My only regret is that I wish I had delved deeper into the connections between gender and ethnicity as my Character is Caucasian in origin hailing from East side of the U.S. where there were stronger European centric ties. Although there are plenty of notable examples of ethnicity that was to be found in Virginia City as said before it is difficult to provide a detailed narrative that develops fully every single of the numerous identities that would have been found in the area. Also found in this research is the identity that women had in this area which was the main focus of my paper. For example many women dispelled the notion that moving to the West was to “cultivate” for the greater good. My character for example simply moved about looking for better ways to survive. It seems that the material culture reflects the notion that it wasn’t just a bombardment of European styles (although they certainly are there) but also a wide range of products relating to other ethnicities such as African American and Chinese who made up a sizable proportion of the population. Some of the research had to be attributed to other similar settlements due to their differing populations of assemblages that contained households rather than saloons. As for today it seems that it is a bit disappointing that the current Virginia City seems to only focus on the more exciting aspects of its past and not the hardships that mining caused to both the men and women. Little mention is there outside of saloons and brothels and the people who lived within. Sarah herself would have easily ghosted by as another face in the crowd leaving only a minimal trace on the archaeological record. That is why this kind of research is important for the area, ignoring the population who may have not made a huge mark on the local history and yet remains in the physical is an aspect that should not be ignored. In the end I hope my paper illuminates the mindset that these women would have had in order to make the decisions that she did and the reasons why she had been enticed to travel to Virginia City. Due to the special geographical location and economic competition between Europeans, Taiwan was occupied by Spain and Dutch in the early 17th century and involved in the world system that was brought by Europeans. We often found a lot imported materials from archeological sites of this period. 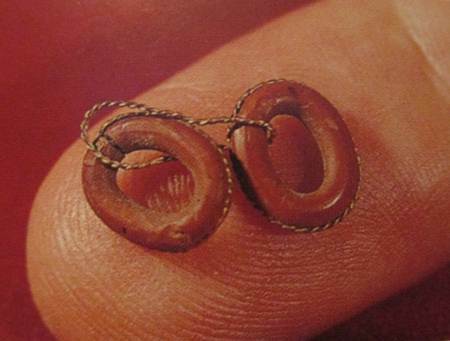 How did indigenous people treat these foreign objects? Did they accept, resist, or incorporate them into their daily life? Through archaeology, we are able to answer these questions. From Kiwulan site in Northeastern Taiwan, we found rich imported materials including beads, ceramics, iron artifacts, and pipes. Through usage contexts of imported materials from living area and burials, as well as written records by Spanish, Dutch, and Chinese, we find that the indigenous people incorporated these foreign objects into their own culture and used them to achieve their purpose, such as respect obtaining. They intentionally selected particular ceramics and beads to be grave goods. Furthermore, the agates beads might be specific grave goods for women, which relates to their traditional ritual. The decorations on the surface of pipes can be also seen on local wooden boards. Wooden boards are important symbolic artifacts usually placed in front of households by indigenous people to show their prestige, and the decoration on it is a human-like figure which refers to their holy ancestor. The similar figure on pipes indicates indigenous people incorporate the foreign habit into their daily life. The result shows that the indigenous people accepted these materials through daily practice and they negotiated with other ethnic groups through barter. We can have a better understanding when we consider the relationship in the process of exchange and view barter as a negotiation. The real relationship is intertwined interaction among different ethnic groups including indigenous people, European colonists, and Han people, which all contribute to the imported material contexts of this site. Reading the work of Patricia Rubertone during our unit on the archaeology of colonialism, I was intrigued by emerging approaches to the study of Native American communities during the colonial period. Contrary to acculturation studies predicated on the inexorable demise of Native cultures, I was drawn to historical archaeologists’ increasing focus on communities’ negotiation of the colonial period as seen through changes and continuities in their use and view of cultural landscapes. I wanted to know more. As I soon discovered, the literature on Native American cultural landscapes is incredibly diverse, theoretically, methodologically, and areally. 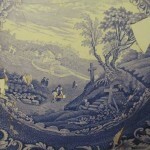 To mention but a few highlights, scholars have examined how landscapes became refuges for fleeing mission neophytes in California, how culturally prescribed burning preserved Native identity in southern Oregon, and how the Narragansett incorporated monuments celebrating their “extinction” into traditional practices. From these diverse and interesting case studies, I identified three major themes: 1) importance of place, 2) traditional knowledge and resources, and 3) persistence of Native identity. Each theme makes an explicit connection between cultural landscapes past and present and emphasizes the relevance of place to contemporary Native American communities as well as non-Natives. For those exploring the impact of a proposed building project on Native American land, culturally important places must be considered. For those working to solve serious environmental issues, learning from Native communities’ long-term observational and experiential knowledge of their landscapes can help identify new management strategies. For those coming from the position that “real” Native American communities no longer exist due to acculturation, the persistence of Native identity through cultural landscapes provides strong evidence to the contrary. Study of indigenous cultural landscapes is a globally emergent field. It provides new insight into the enactment and legacy of European colonialism and serves to deconstruct Western nature/culture, place/space dichotomies. Bernard, Julienne, David Robinson, and Fraser Sturt 2014 Points of Refuge in the South Central California Colonial Hinterlands. In Indigenous Landscapes and Spanish Missions, edited by Lee M. Panich and Tsim Schneider, pp. 154-171. University of Arizona Press, Tucson, AZ. Carlson, Keith Thor 2010 The Power of Place, The Problem of Time: Aboriginal Identity and Historical Consciousness in the Cauldron of Colonialism. University of Toronto Press, Toronto. Gallivan, Martin, Danielle Moretti-Langholtz, and Buck Woodard 2011 Collaborative Archaeology and Strategic Essentialism: Native Empowerment in Tidewater Virginia. Historical Archaeology, 45(1):10-23. Tveskov, Mark A. 2007 Social Identity and Culture Change on the Southern Northwest Coast. American Anthropologist, 109(3):431-441. Whitridge, Peter 2004 Landscapes, Houses, Bodies, Things: “Place” and the Archaeology of Inuit Imaginaries. Journal of Archaeological Method and Theory, 11(2):213-250. One of the most fiscally rewarding products of colonialism is the trading post. This corporate enterprise flourished across North America, fueled by abundant natural resources and successful trade relations with the dynamically complex native populations that already inhabited the continent. Fort Nisqually is an excellent example of an early to mid-century west coast trading post; the artifacts that we have from this location can help to illustrate class differences and gender experiences within the corporate structure of trading posts. Fort Nisqually was founded by the Hudson’s Bay Company in 1832 along the beach of Nisqually Reach in South Puget Sound. It was the first corporate enterprise in the sound, as well as the first non-native settlement. It was centrally located between Fort Vancouver and Fort Langley, and was jointly occupied by American and British workers of the Hudson’s Bay Company. Trading posts adhered to Victorian social principles, and wives of Fort Nisqually workers were subject to a heavily stratified social order; the experiences of these women was widely varied and affected by a multitude of factors. All of the officers at Fort Nisqually had Native American wives, who by association of position were a higher class. These Native wives were ambassadors of culture; they embraced the Victorian principles of their husband’s households while simultaneously engaging in their own culture. This dual role fulfilled the traditional patrilochal marriage patterns reflected within Native culture. There is evidence that the experiences of European women, however, were occasionally dysfunctional. The only white women who were specifically recorded entering the Fort between 1833-1860 were laborer’s wives. Historical records confirm that all three ran away shortly after arriving at Fort Nisqually, one of whom ran away before they even got there. This may have been due to class distinctions within the fort. 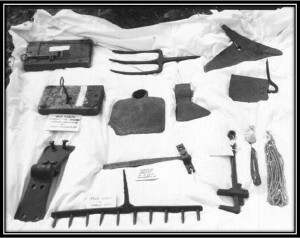 Excavations of workers homes in 1989 indicate that Jean Baptiste Chaulifaux, a carpenter and mechanic who made twice as much as other workers, had a higher class of household and personal goods (see above, courtesy of Archaeology in Washington, 2007). His wife, who incidentally may have been white, possessed a higher class of jewelry and china goods than her neighbors. There is no record of a Mrs. Chaulifaux defecting from the fort, so we know at least that she did not suffer the same fate as the other three European frontierswomen. The experiences of the other three women may have been due to the strictly imposed social order and materialistic focus of the Victorian era; they would have had little opportunity to change their station in life.